Thank you for having been following and supporting us this year. 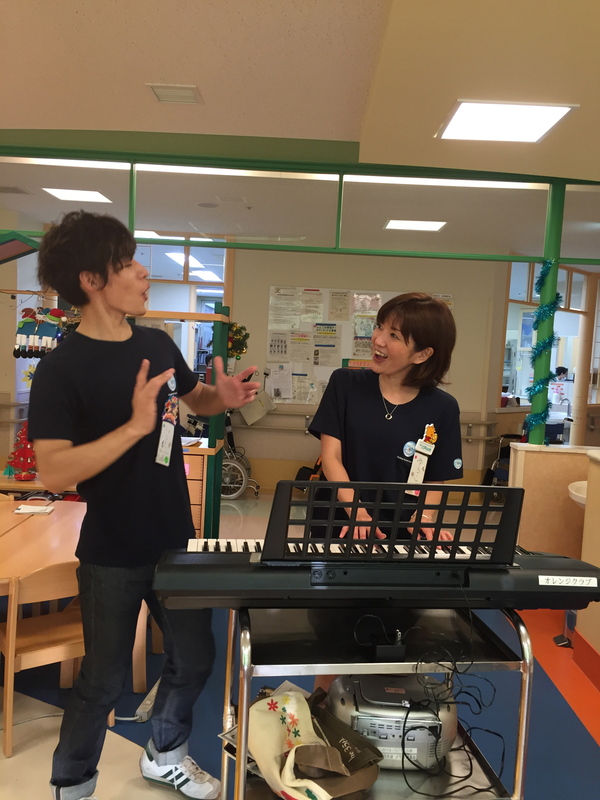 We look forward for all for your continued support in Smiling Hospital Japan in 2016. “Ave Maria”, ” Ave verum corpus”, “O Come All Ye Faithful”, “Angels We Have Heard On High”, “Last Christmas”, ” We Wish a Merry Christmas”, ” Rudolph the Red-nosed Reindeer”, “Jingle Bells”・・・Lots of Christmas music of every styles like classical, popular, sacred songs, and songs for small children were played and sang in the playroom, all the rooms, bedsides, and the infant home. 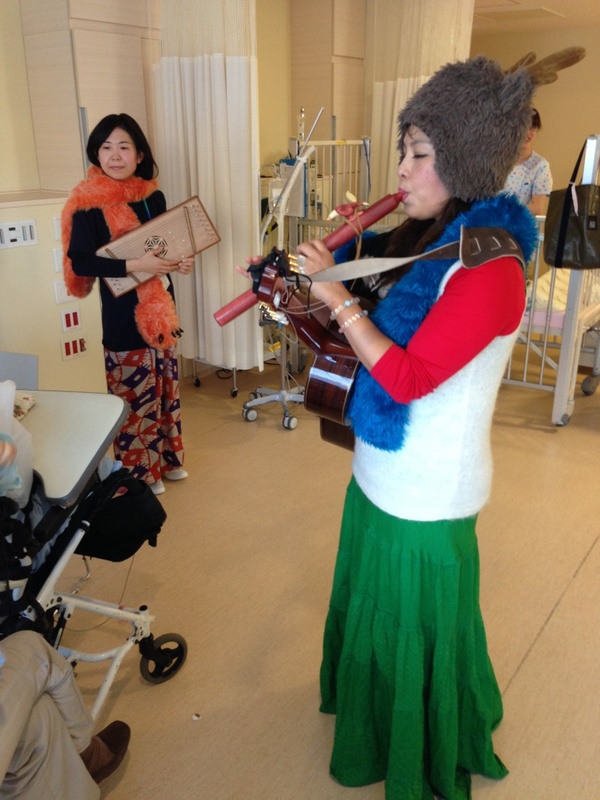 Being in the hospital, children, parents and grandmothers as well as the ward staff enjoyed the Christmas atomosphere listening to Mari-san’s recital. 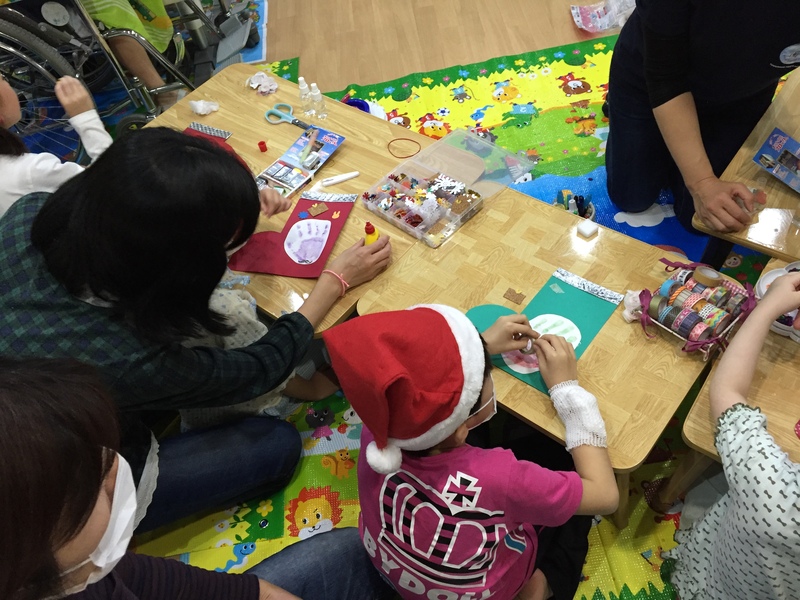 SHJ joined the Christmas Party at the playroom of the pediatrics ward and held the art workshop. 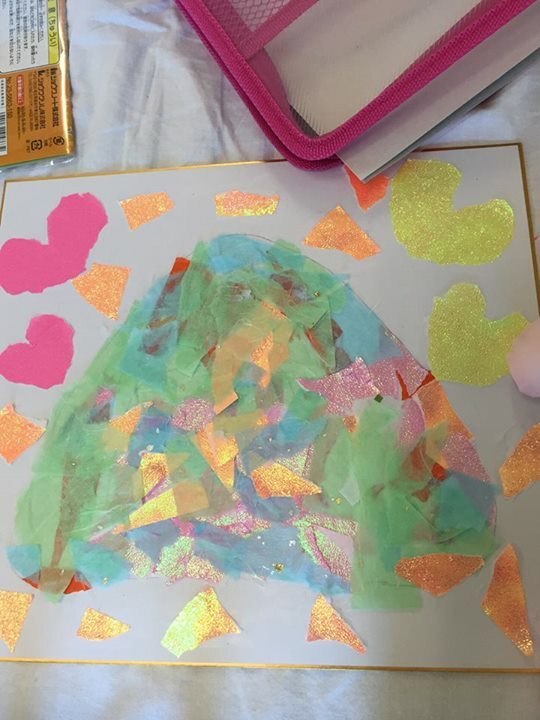 The artist brought lots of beautiful materials to decorate palm stamps by children, and lots of smiles too! It’s extremely busy season Christmas illumination competing everywhere and people are so busy with choosing presents for special person. 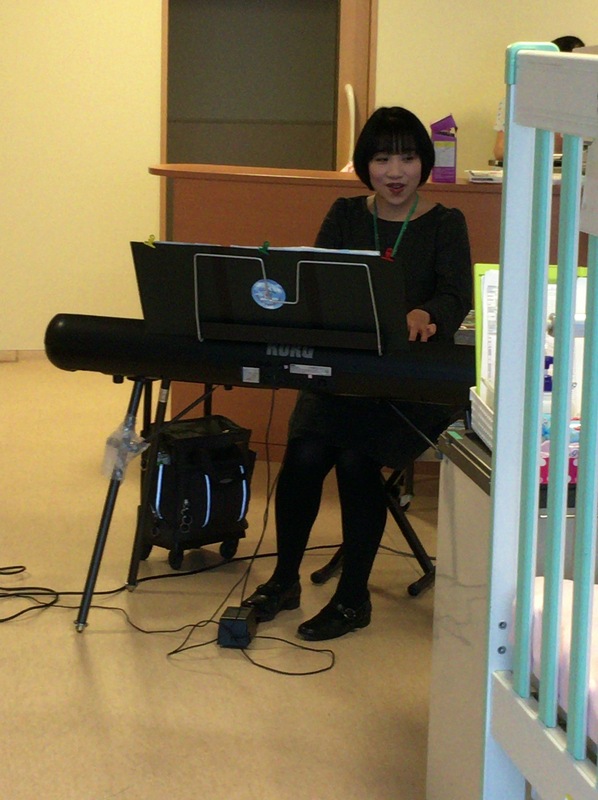 But pediatrics wards are not exception, or even more excited with children’s favorite songs and standard Bossa music! It’s extremely busy season Christmas illumination competing everywhere and people are so busy with choosing presents for special person. 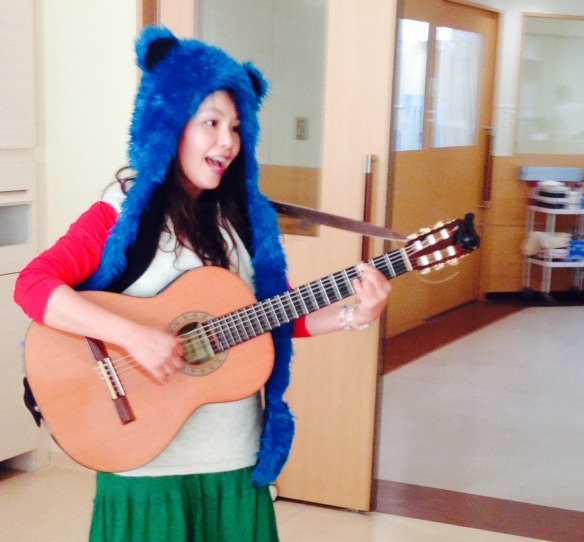 But pediatrics wards are not exception, or even more excited with musical show and dance! What an original X’mas card for every single child! The artist drew a portrait soon after reading each characteristic feature of each child having a chat with him/her, mother or grandmother, or sometimes with nurses. Then the artist made those faces to Santa Crause! 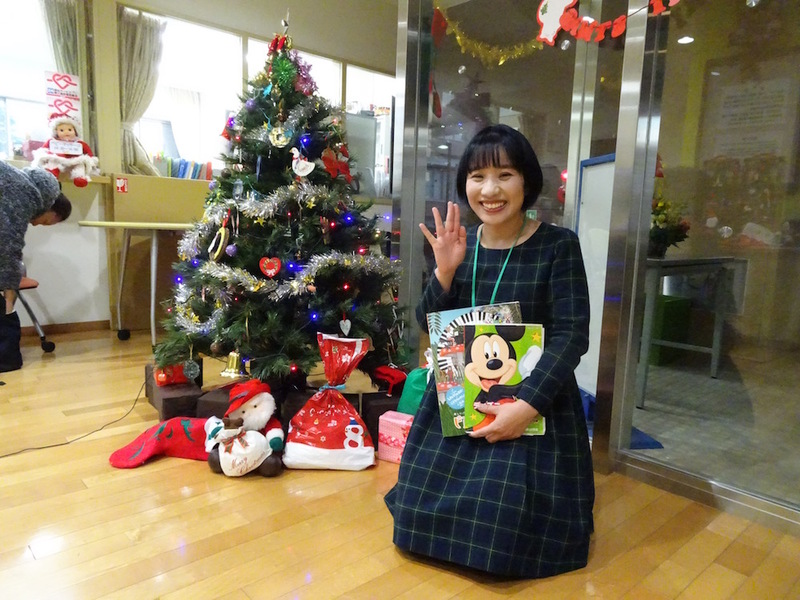 What wonderful Christmas event they had today even in the hospital. 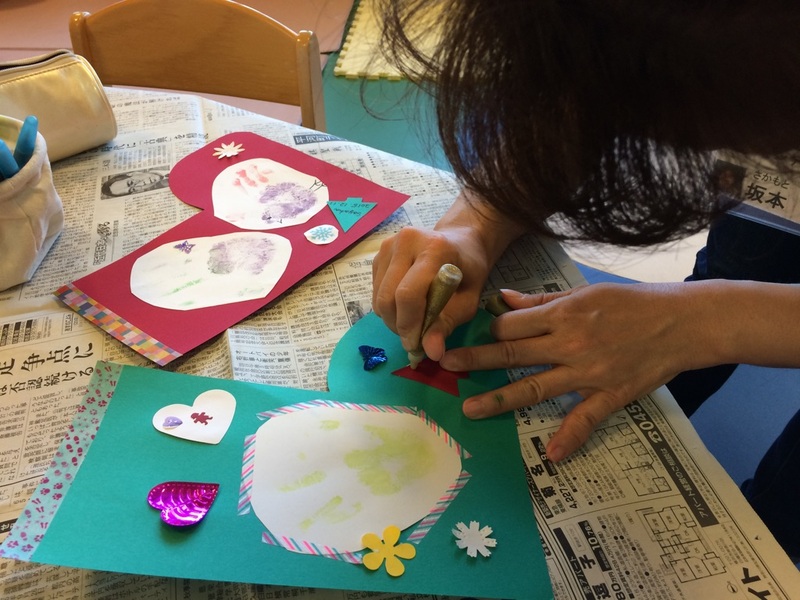 Children enjoyed tearing Japanese washi in pieces and creating collage with them. 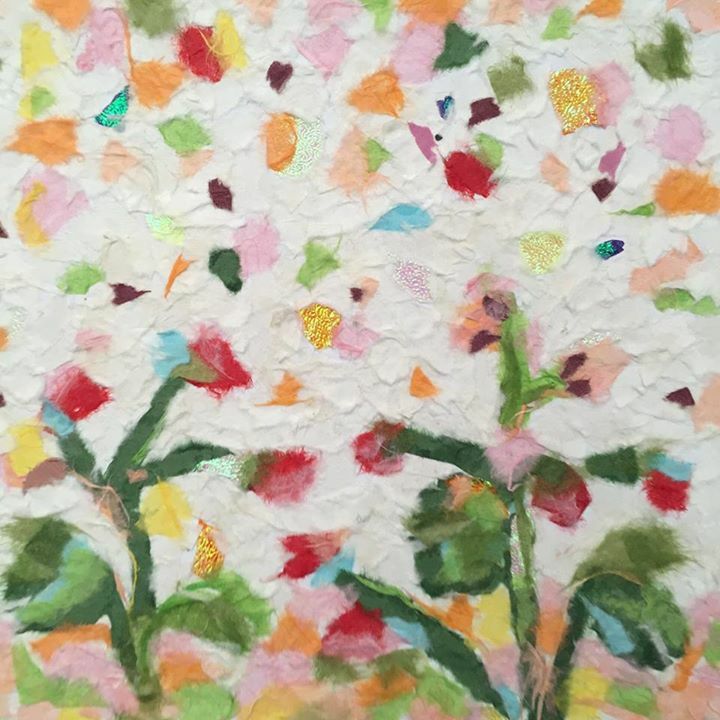 Teenagers made such wonderful works which looked like ones by professional artists. 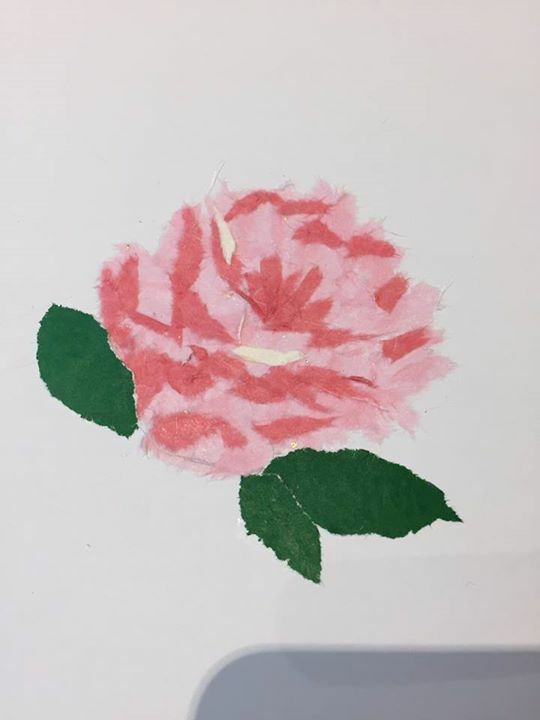 They are real artists indeed!! 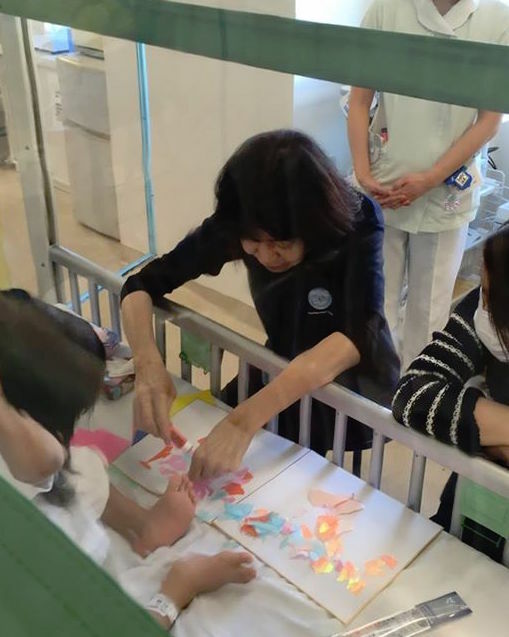 On the other hand, small children had a good time trying creating their own works.”Please come again!”, “Take care on your way home!” they said to Reiko-san waving their arms when she was about to leave, which became an unforgettable memory for the artist as their mothers looked happy too when they saw their kids’kind attitude as well as enjoying the art workshop. 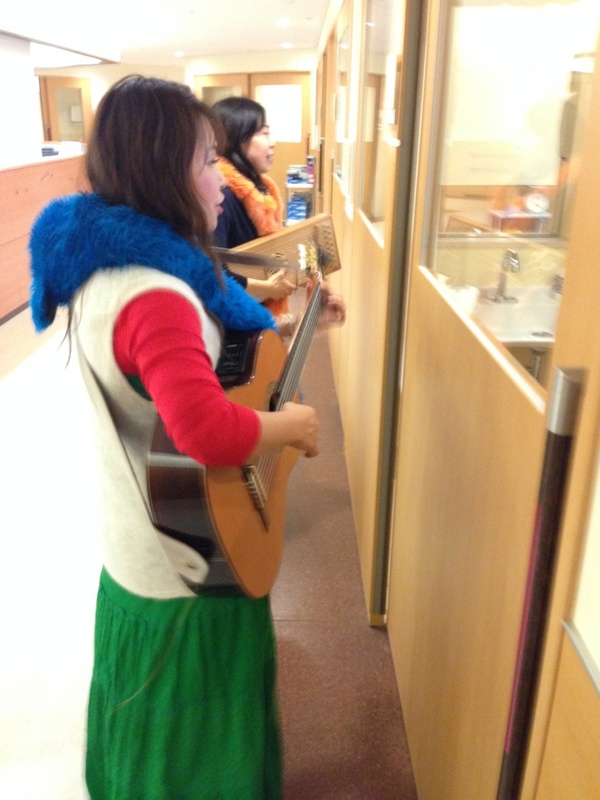 Bossa Nova with indidan flute, guitar by Satoko and a kind of Japanese koto called Makoto by Kaori. 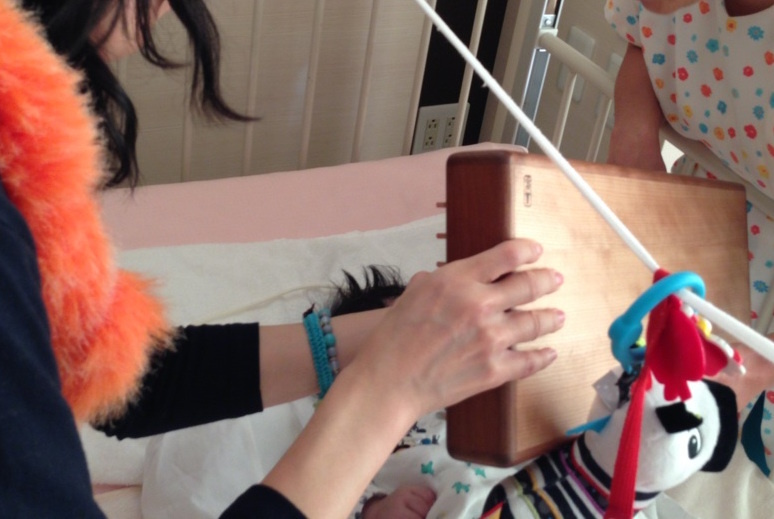 Bossa is not unusual music for kids at all. 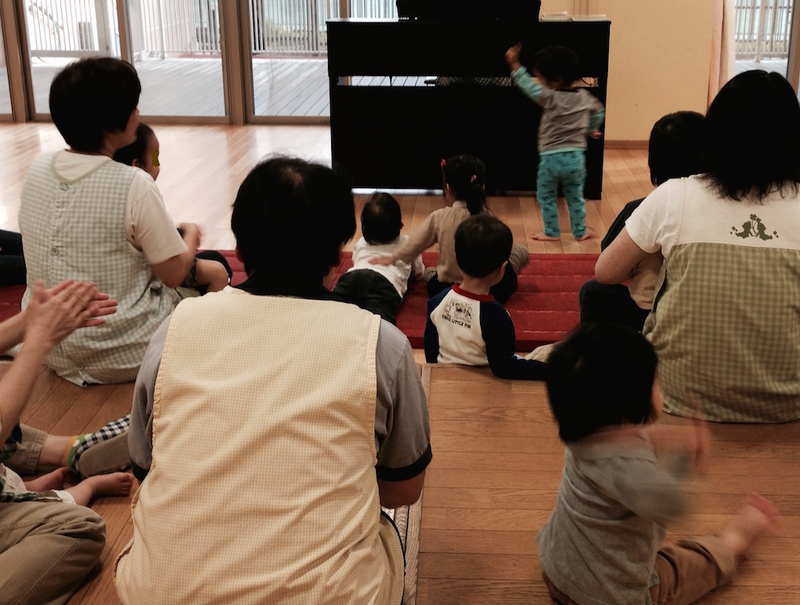 Unexpectedly kids like bossa, jazz, samba…which adults think kids aren’t totally interested in. They like those rhythm which make them move their bodies and sing together. 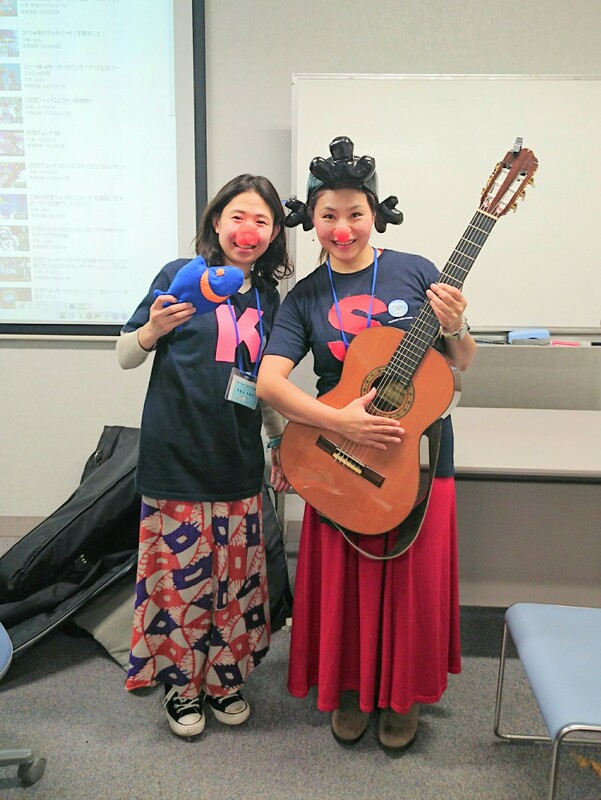 They enjoyed Bossa standard numbers like “A Girl from Ipanema”, “One Note Samba” as well as children’s songs shaking maracases or bells on their own to the music, while there was a child who touched the music instrument for the first time. A girl started to cry when we were about to leave, which was the moment that we made sure that SHJ activity was worth doing.